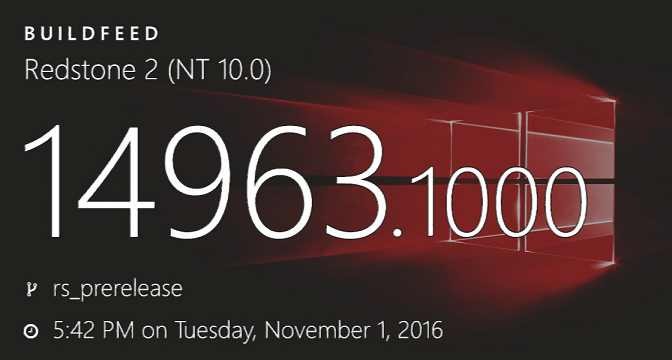 New insider build 14963 information leaked online. Windows insider team is testing Windows 10 Creators Update PC build 14963 and mobile build 10.0.14963.1000. The internal build was compiled on November 1, 2016. Previously, build 14955 was released to insiders. Microsoft could release build 14961 this week.